The Super Smash Bros. fighting game series started in 1999 on the Nintendo 64 and today it is one of Nintendo’s most liked game series while there are only 3 parts yet. The games are super fun and full with known Nintendo characters, and even Sonic and Solid Snake were playable guest characters already. 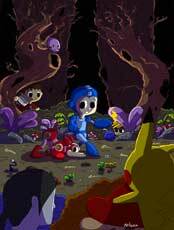 This gallery is about fan art which is about the series but not related to a single Smash Bros game..for more Smash bro. 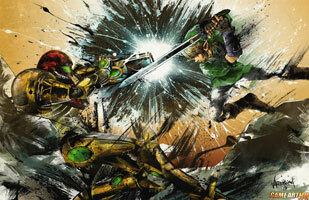 games art look up the other Smash Bros games in our Game Art HQ!